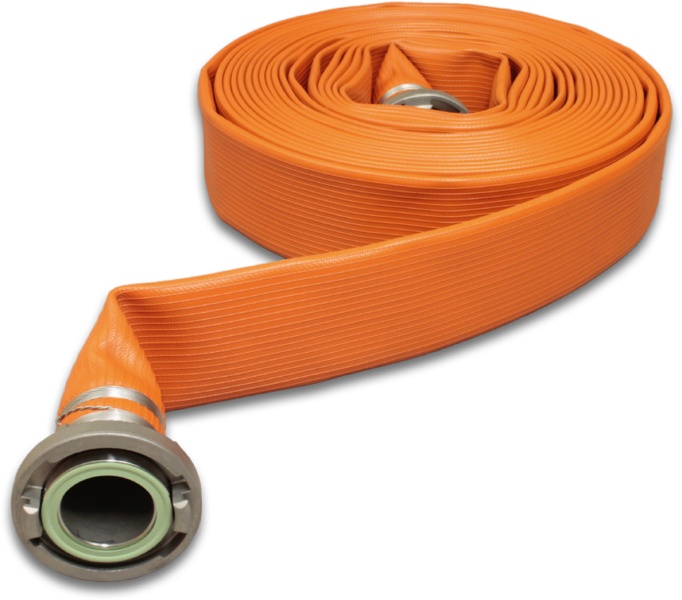 Flame resistant heavy duty lay flat hose for all fire-fighting operations. Circular woven jacket out of 100% high tenacity synthetic yarn, embedded in a special flame retardant high grade Nitrile/PVC compound using the „Through-the-weave-extrusion process”. Offers high resistance to acids, salt solutions, oil, fuel and many more chemicals. 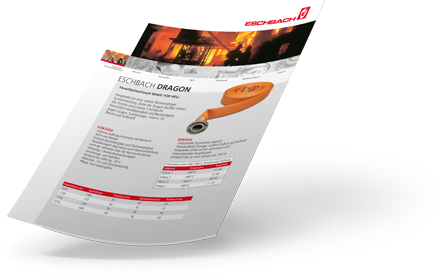 Flame resistance test acc. DIN 14811, destructive test.